Cebuana Lhuillier, the Philippines' largest microfinancial services provider, won once again the distinction of being the 'Best of the Best' at the recently concluded 2018 International Service Excellence Awards (ISEA) by the Customer Service Institute of America (CSIA). The award cemented the company’s legacy as a global leader in service experience. "To receive this award for the second time validates the positive results of our tireless efforts to continuously improve and provide only the best customer experience to every client we serve," said Cebuana Lhuillier President and CEO Jean Henri Lhuillier. 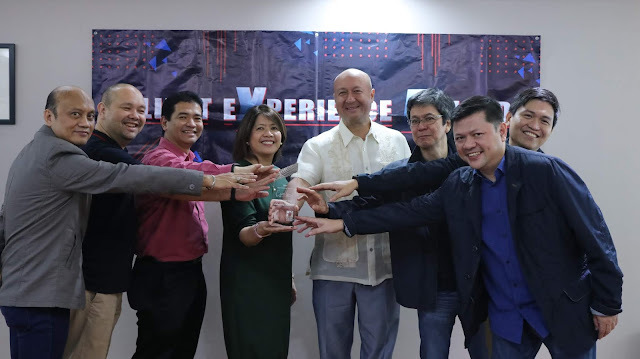 The well-respected Filipino businessman and philanthropist added, "On behalf of the company, I would like to express my deepest gratitude to CSIA for recognizing Cebuana Lhuillier once again as a pillar of excellence in quality customer service. We will continue to find new and innovative ways to offer products and services that are more accessible and relevant to our patrons and that adhere to international customer service standards." CSIA Managing Director Christine Churchill noted that the winners of this year's ISEA are organizations and individuals that are committed to service excellence by using a brilliant combination of their people and cutting edge technology to enhance their client experiences. "The 2018 awards race was absolutely outstanding! The calibre of entries and variety of industries represented were the most to date," added Churchill who is also the vice president of the International Council of Customer Service Organizations (ICCSO). "It is exciting to see the great strides these organizations and leaders are taking." ISEA adheres to the International Customer Service Standard (ICSS), which provides a comprehensive and practical framework to assist organizations in delivering consistently high levels of service. This standard, based on the balanced scorecard methodology, reviews organizations to determine if the customer is the focus of the business and how that is supported through culture, processes, procedures, training, hiring practices, and daily actions. It was in 2016 when Cebuana Lhuillier bagged its first "Best of the Best" award. In the same year, the company also secured its re-certified ICSS Gold status and achieved an overall average score of 8.70, the highest achieved by an organization, for the second year in a row. galing naman👏 My hubby worked here sa main office nila ( hr dept ) .